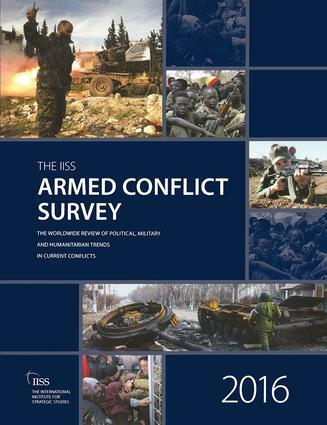 The Armed Conflict Survey is an annual publication from the International Institute for Strategic Studies, publisher of yearly reference work on national defence capabilities The Military Balance and annual review of world affairs Strategic Survey. The book is edited by Nigel Inkster, Director of Transnational Threats and Political Risk at the IISS. The ACS provides yearly data on fatalities, refugees and internally displaced people for all major armed conflicts, alongside in-depth analysis of their political, military and humanitarian dimensions. The second edition of the book covers the key developments and context of more than 40 conflicts, including those in Afghanistan, Democratic Republic of the Congo, Iraq, Myanmar, Syria and Yemen.